Off-site efforts that include things like link building and media relations, and On-Site tactics that include every nuance your content must embrace to garner Google’s attention. You can have scads of fantastic off-site SEO techniques, but you won’t achieve the rankings you dream of without equally stellar on-site strategies. So what are the core things your site must display in order to rank well? Read on for all the details. Great SEO strategies always start with the basics. Without a few core site elements, no amount of crafty marketing will ever boost your ranking. 1) XML SiteMap – Your site needs to have a XML sitemap that displays all your content pages in a format search engine bots can read. This page should already exist in the root directory of your site, but if it doesn’t, you can use tools like the XML Sitemap Generator to create one quickly and easily. 2) Robots.txt – While you’re at it, double check that your site has a Robots.txt file in the root directory as well (look for yourwebsitename.com/robots.txt). This is a file invisible to your visitors, but it communicates to search bots what pages on your site should be indexed. 3) 404 Error Pages – It’s quite all right for users to occasionally hit a 404 error page on your site, but it’s not OK for this page to be generic and create a dead end. Error pages should be customized with your logo, have playful text and images to lessen the disappointment, and include links to other potentially relevant areas of your site. Include a search box as well so they may redirect their efforts to find what they’re looking for. If you don’t feature these options, users are likely to close the window and abort the visit all together. Not only will you lose valuable traffic, but search engines will also ding you for a poor user experience. 4) URL Structure – Search engines like Google love shorter, keyword rich slugs (the last portion of your URL.) Avoid URLs that are over 3 directories deep, as flatter slugs tend to index faster after the page is published. Shorter URLs are also a lot easier for users and bots to comprehend. The cardinal rule is no more than 100 characters for your URL, and 3-5 words for each page’s slug. Keep them descriptive, and avoid stop words like ‘in’, ‘a’, and ‘the’. 5) Page Titles – Each title on your site should be descriptive and concise. Titles need to communicate exactly what the page contains, in the shortest form possible. Optimal length is 70-100 characters, including spaces. 6) Headings – It’s also important to include headings (H1, H2, H3) on your site’s pages. These help to divide the content into coherent sections, providing more value to search bots trying to decipher the content. Headings should also include your page’s key terms, and while they don’t need to be as concise as the other components, they should still express topics in a somewhat brief manner. 7) Site Speed – Users and search engines love fast loading sites, so make sure your gorgeous content doesn’t have high file sizes that bog down load times. Use a free tool like GTmetrix to regularly test your site’s speed. 8) Meta Data and Rich Snippets – While it’s true that meta descriptions do not affect your rankings, they do help the click-through rates of your listing. Rich snippets and accurate meta descriptions increase your opportunity to get a visitor’s attention, and therefore should not be ignored. Once you have the basics covered, and begin publishing quality content to your well-designed site, consistent monitoring of ranking changes is imperative. SEO is an ever-evolving process, so it’s important that you stay on top of your site’s rankings week to week. For starters, create an account on both Google’s Webmaster Tools and Bing’s Webmaster Site. These will be your gateways into seeing the latest ranking results on each search engine. Once your account is created, you’ll need to formally submit your site’s XML sitemap. From here, you can monitor the latest rankings and gain access to webmaster tools to help increase your performance. These days there are also dozens of excellent tools that help you monitor your search engine statuses and determine why your results might be less than optimal. Install a good crawler (SEOmoz is well-known and reputable) so you can track your changes, site errors, warnings, and other useful metrics on a daily or weekly basis. Finally, make it a point to scan your site on Google each month to make sure it’s indexing all the pages you intend. To do so, type in [site:www.yourdomain.com] to the Google search box, and browse through the results. You should see all your site’s pages listed. Look for any warning boxes or missing results, as those are excellent clues that tell you changes are needed. Websites are dynamic creations, and you will no doubt make scads of changes and additions over time. Be very methodical and thoughtful as you do so, however, because you can undo great SEO results by changing the data search engines see. As an example, if you change your site’s URL structure, it’s imperative that you update your XML sitemap, and set up redirects from the old to the new pages. You should also be monitoring your site’s analytic on a weekly basis. These metrics will tell you tons about the performance of your best and worst pages, site speed, bounce rates, and repeat visit percentages. Tools like Google Analytics provide an invaluable sneak peek into the behavior of your visitors – use this data to help determine what changes are needed to increase conversion, visit lengths, and overall traffic. 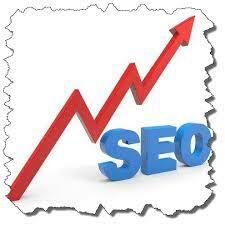 You are now armed with an excellent starter course on creating fantastic on-site SEO results. By following all the basic structure protocols, and employing regular monitoring of your site’s performance (with a willingness to make changes as needed), you stand an excellent chance of achieving admiral rankings. Remember that nothing is as critical as the quality of your content, but applying these tactics along with a stellar, user-friendly website is your ticket to Google greatness. This wonderful post is taken by SiteProNews and written by Tina Courtney-Brown.